Unfortunately, not everyone is as excited about the benefits of uPVC windows and doors as we are. We love uPVC because it’s a great choice of material for your renovation or building project. It provides insulation and soundproofing and is the perfect blend of architectural design and innovations in style. 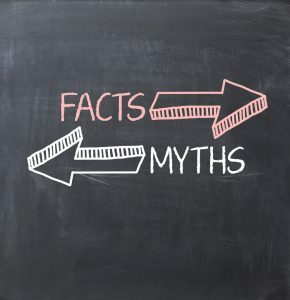 Today, we’re going to debunk some common myths and misconceptions about uPVC so you have the full picture when shopping around for PVC windows and PVC doors in Sydney. You may have heard that uPVC window and door frames aren’t strong, and will compromise the structural integrity of your home. This just isn’t true. uPVC comes manufactured to be sturdy, durable and to withstand the harsh Australian climate. The quality of our Deceuninck profiles has been conclusively proven for over 40 years, with performance exceeding worldwide standards for strength and durability. Condensation can occur with any sort of window and door frame material. The fact of the matter is the more you seal up your home, the more condensation can occur. It’s best to allow some air flow in your home to avoid this. uPVC is actually an eco-friendly material. It is completely recyclable, and unlike timber, no trees get harmed in its production. It also helps to insulate your home, meaning less money gets spent on fossil fuel energy production. 4. But They’re Made of Plastic! This is another misconception that follows on from the previous point. The “U” in uPVC stands for unplasticised polyvinyl chloride. In fact, the main chemical in uPVC is actually salt! It’s definitely not some cheap plastic. This is another misconception. uPVC is actually quite affordable when compared to traditional framing materials. 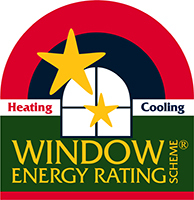 It’s cheaper than timber or aluminium and it is well within the budget of most homeowners and renovators, making uPVC windows and doors in Northern Beaches and beyond a popular choice. This misconception comes based in some truth. In the earlier days of uPVC windows and doors, yellowing did occur. Since then, the manufacturing process has tightened up, allowing no room for poor quality uPVC. Our uPVC window and door frames will never, ever yellow. uPVC window frames come installed and reinforced with galvanised iron, making them sturdy, safe and secure. They’ll definitely make life hard for any would-be robber! There’s a myth going around that uPVC is a highly flammable material and will put your home at risk in the case of a fire. In reality, uPVC is actually a fire retardant. Timber is the more flammable material in this case. Another myth. uPVC is a highly durable material, made to stand the test of time. As well as being durable, it’s also designed to withstand the Australian climate. It will hold fast against hot sun, wild wind and strong downpours. uPVC window and door frames come in a wide variety of colours and finishes. Chances are if you have a décor or interior design theme, you can find the uPVC frame to match! There you have it − ten uPVC myths well and truly busted! Feel free to use this information the next time you’re shopping around for uPVC doors or a double glazing window in Chatwood and surrounds.